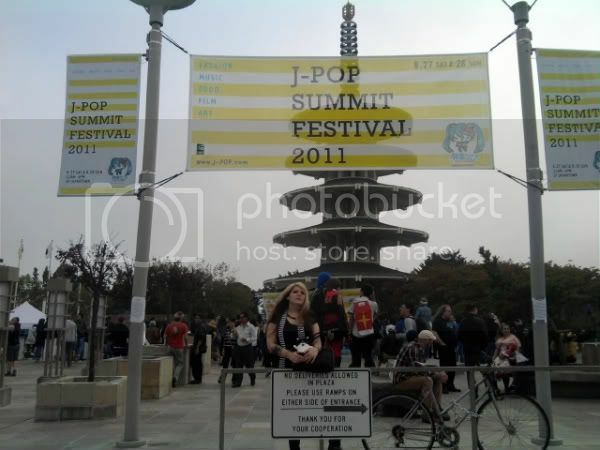 Last Saturday we went up to San Francisco for the J-pop Summit Festival. It was really fun to see so many people dressed up, to buy stuff from vendors, do some shopping at the mall! Here I am standing right in the middle of the action - right as the clouds started to come in! 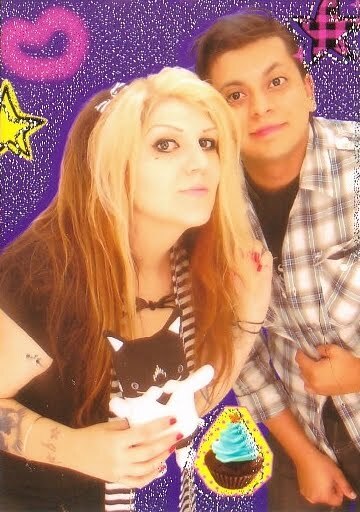 One of the pictures we took at Pika Pika with Flat Mar! It started getting cold and my arm was aching from a bus incident (I ran/was pushed into a metal rail) we took a town car across town to eat at Source . After we ordered the owner remembered me and came up and chatted - I like this attention - if only other restaurants did this. Matt ordered the moo skewers - he wanted more skewers and rice (I think there should have been at least 1 more skewer - it looked a bit like a appetizer with just two). He loved the taste - he just wanted more! I ordered the oink bits burger. I really loved the pita - it was fresh and moist. The burger was really good too - it had a nice purple red color from the beets. I think the toppings were plentiful but the flavor needed something - more spice or something - lots of nice texture - just not so much flavor stand out points. The fries and chocolate smoothie were so divine! We will go back! I keep reading about burgers with beets in them & I want one! 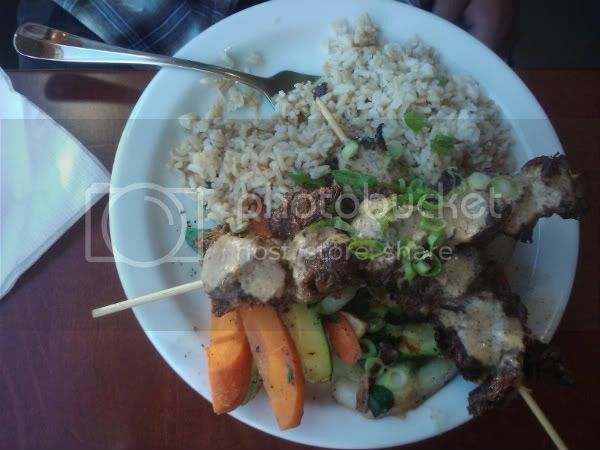 The food looks great. I love the picture of you guys & flat Mar!